Niv-Mizzet, Parun ($1.48) Price History from major stores - Guilds of Ravnica - MTGPrice.com Values for Ebay, Amazon and hobby stores! Card Text: This spell can't be countered. 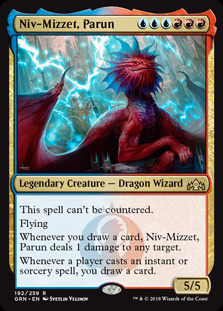 Flying Whenever you draw a card, Niv-Mizzet, Parun deals 1 damage to any target. 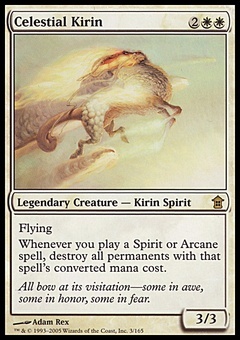 Whenever a player casts an instant or sorcery spell, you draw a card.